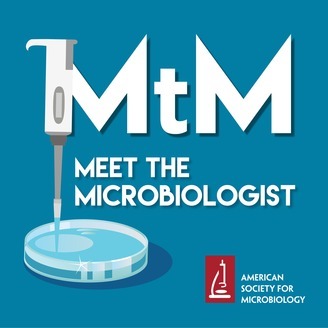 Meet the Microbiologist is a podcast that showcases the people behind the scientific discoveries. Each guest introduces their research in one of the cutting-edge areas of the microbial sciences: genomics, antibiotic resistance, synthetic biology, emerging infectious diseases, microbial ecology, public health, probiotics, and more! You no longer have to suffer in silence: learn about epidemiology as you run errands, explore drug discovery as you drive home, delve into microbial genomics at the gym. Each guest discusses their scientific discoveries and where future technologies may lead. 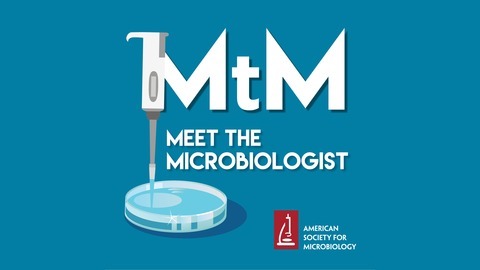 Meet the Microbiologist, hosted by Julie Wolf, was previously titled Meet the Scientist, hosted by Merry Buckley and Carl Zimmer. Parasites are incredibly varied in many characteristics, including their size! Some are microscopic, while others are macroscopic and can be seen with the naked eye. Not just small macroscopic, although some worms at 35 cm can be considered quite large. Some tapeworms can reach 50 feet! Bobbi Pritt’s blog started as an exercise to share the cases she observed while a student at the London School of Tropical Medicine. She wanted to share these cases with students back at the Mayo Clinic, but found the audience grew to include clinical parasitologists, microbiologists, and parasite-interested people worldwide. Part of its success relies on its succinctness: a short, digestible case study with the minimum information needed to make a diagnosis. Pritt’s research focuses on developing molecular tests to detect microorganism RNA or DNA. Molecular tests can be used as a complementary diagnostic test or as the primary test, which can give healthcare workers definitive information to make therapeutic decisions much more quickly than a test that requires culturing the microorganism. We did a tick drag, taking a white cloth and dragging it through vegetation. The Ixodes ticks that transmit Lyme disease will think the sheet is a host and will grab onto the sheet, allowing easy collection of a large number of ticks to test for bacterial presence. One of the outstanding questions in parasitology is the relationship of Blastocystis (formerly known as Blastocystis hominis but may actually be several species) to human health. Blastocystis lives in the intestinal tract and may cause irritable bowel-like syndrome. Definitive evidence on whether Blastocystis causes intestinal disease has yet to be presented, and there is a lot of opportunity for research in this area. Pritt B.S. et al. Identification of a Novel Pathogenic Borrelia species causing Lyme borreliosis with unusually high spirochaetaemia: a descriptive study. Lancet Infectious Disease. 2016. HOM Tidbit: Patrick Manson. On the Guinea Worm. British Medical Journal.